Officially known as the sport of bird watching but commonly known as “birding” to enthusiasts, the art of finding, watching, and recording birds in the wild is one of the fastest-growing hobbies on the planet. And, as experienced birders will tell you, once you start spotting, it’s really easy to “catch the bug” and become highly enthusiastic about this unique pastime. There are lots of benefits to birding. Many people are drawn to the hobby because it involves getting out of the house and enjoying some quality time outdoors in nature. And because birds flourish in more pristine environments, the hobby of birding can take you to some of the most beautiful and unspoiled parts of the world. Secondly, bird spotting usually requires using binoculars. And when you’re inspecting the natural world more closely, other things like animals, plants, insects, or even the stars in the sky also become fascinating to examine through a pair of binoculars. Birding also teaches you patience and greater appreciation for the subtle beauty of birds and other wild creatures. In a busy, urban environment, birds appear as little more than background actors of little interest. But when you’re bird watching in the wild, you’ll gain a deeper awareness of the personalities, antics, and interesting behaviors of birds. One of the best places in the world to enjoy some bird watching is in Belize. Over 600 species have been recorded in the country, and the Audubon Society manages six different Importing Birding Areas (IBAs) in Belize. The offshore islands, wetlands, savannah, rainforests, and jungles of Belize provide a perfect habitat for birds of all sizes and types, ranging from tiny hummingbirds to enormous Jabiru storks and harpy eagles. All of the major bird taxonomies are present in Belize, including birds of prey, songbirds, corvids, herons, gulls and terns, parrots, owls, thrushes, woodpeckers, warblers, and wrens. 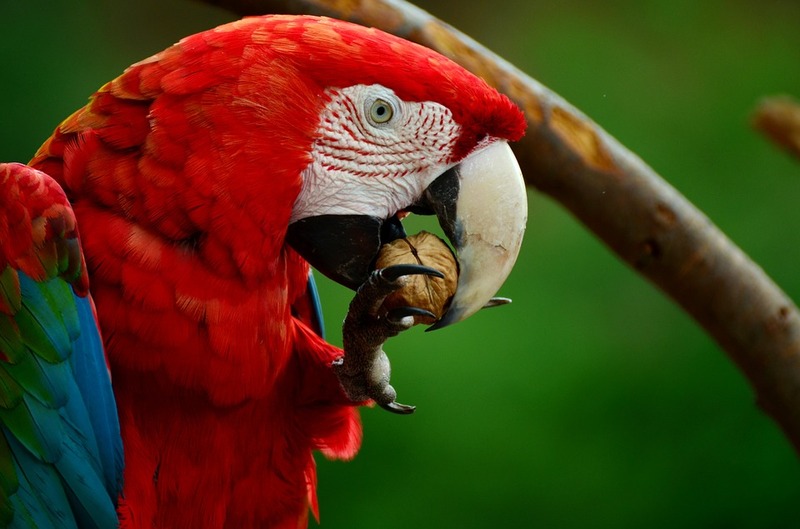 If you’re interested in spotting some of the many colorful and interesting birds in Belize, there’s no better place to stay than Caves Branch Jungle Lodge. Located in the heart of the pristine rainforest, more than 300 different avian species have been spotted on the grounds of Caves Branch, including Belize’s national bird, the keel-billed toucan. In fact, GQ Magazine published an article in their November 2018 edition that recommends visiting Caves Branch, so now is the perfect time to visit Belize and partake in a truly amazing birdwatching excursion!